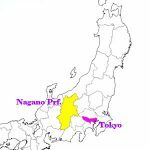 The land of Sanada’s origin is in Nagano pref., which is worldwide known as the place where the Olympic Games were held in 1998. 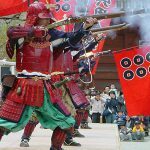 The Sanada family is one of the most popular samurai clans in Japan because of their wisdom and sophisticated strategy. 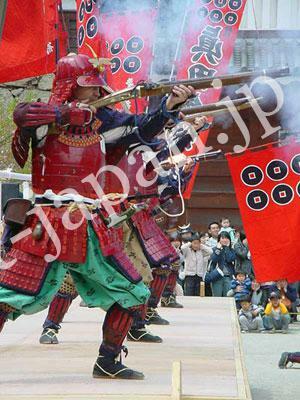 #Both of us are associated with Sanada clans, we are happy for this popularity and appreciation. Hiroyuki is very remotely related to Sanada clan, and Mayumi’s ancestor was a chief retainer of Sanada clan from the age of Nobuyuki. The design of the family crest is called “Rokumonsen” or “Rokurensen” (“roku” means “6”, “mon” is the name of the ancient currency unit, “ren” means “series” and “sen” is “coin”). 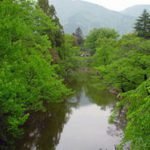 This name was derived from teachings of Buddhism, “Rikudo”. 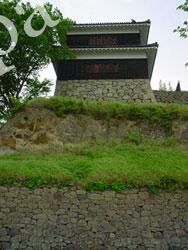 “Rikudo” means six underworlds which people would go down to after death. 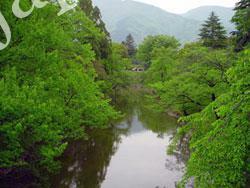 And when one died, the bereaved gave “Rikudosen” into the casket which is said to be needed to cross the death’s river. Sanada have taken in this concept into their crest, and this was a message that they were not afraid of death and ready to die anytime in the battle. The oriflamme with Rokumonsen and Sanada’s signature color, blazing scarlet must have terrified the enamies. The most famous member among Sanada family is Yukimura (“Yukimura” was the common name and the official name was “Nobushige”), who was appreciated as “The best warrior in Japan” even by the enemies at that time for his excellent intelligence and superior type of personality. 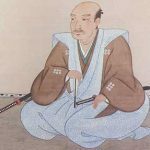 His elder brother Nobuyuki was appreciated by many people as well as Yukimura not only then but now (even Yukimura did highly respected Nobuyuki). 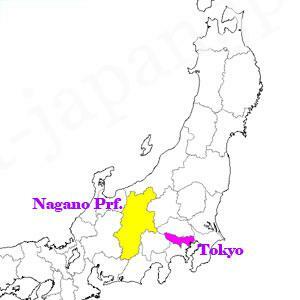 Nobuyuki was the patriarch of Matsushiro Domain, which was succeeded for about 250 years after the Battle of Sekigahara till the abolition of clans and establishment of prefectures. 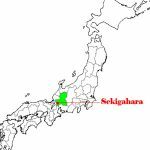 His vassalage was transferred from Ueda to Matsushiro (a part of Nagano-city) under the fiat of the 2nd Shogun Hidetada Tokugawa (a son of the 1st Shogun Ieyasu). 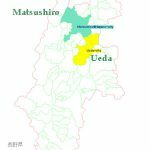 Matsushiro was less fertile than Ueda. 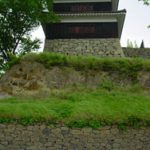 In those days, Shogun often made such a fiat in order to lose the power of the feudal lords who had possibility of threating the government. 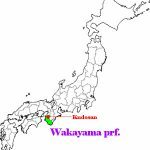 Masayuki, the father of the brothers, is also famous. His intelligence and courage had been succeeded by into his sons. 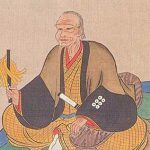 Masayuki and Yukimura were very favored by Hideyoshi Toyotomi, and Yukimura married a daughter of one of the close aides of Hideyoshi. 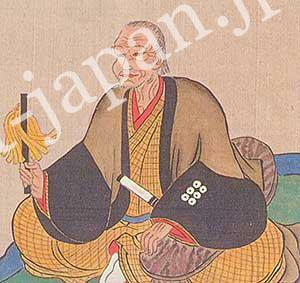 And Nobuyuki wedded a daughter of Ieyasu Tokugawa. 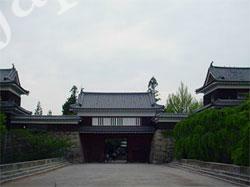 Both two major machines, Hideyoshi and Ieyasu, wanted to make a close relationship to Sanada family. 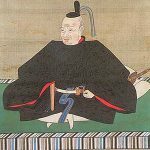 But after Hideyoshi’s death, an enormous battle erupted in 1600 between Toyotomi family and Tokugawa family, which divided Japan in two, the West squad and the East squad. This is called The Battle of Sekigahara. So Yukimura and Nobuyuki became to belong to the opposite party each other. 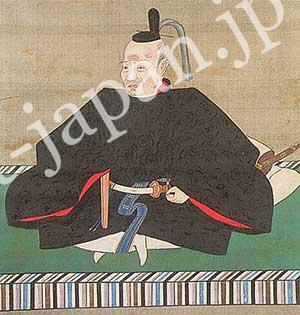 As a conclusion, Tokugawa conquered Toyotomi, and it was the beginning of the government of Edo, which lasted 264 years. 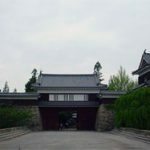 #I’m sure you would enjoy subjects on a samurai story very much with knowledge about various background and names of samurai! “Sanada Strap” called “Sanada-himo” in Japanese is a generic name of narrow and flat straps usually made of cotton and woven with striping. Different from braided ropes, this flat straps are strong because they don’t stretch, they have been used widely as sword knots, cross brace, men’s Obi etc. 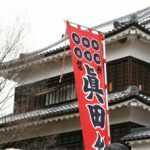 In Sengoku era, each feudal warlord used Sanada Strap (in this time, it had not been called “Sanada Strap” yet, though) for fixing armors or burden and sword knots. They were suitable for practical use. So they were made during agricultural off-season in each warlord’s domain. 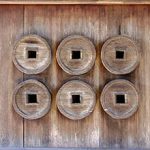 Furthermore, the tea ceremony become dominant trends among the social world, Sanada Strap were used for the box made of paulownia in which the precious items for the tea ceremony such as tea bowls were safely kept. And then, the different design for each warlord became the same role as the family crest and Sanada Strap would be used for each warlord’s sword knots or boxes for tea ceremony. The unique design was readily identifiable to which warlord someone or something belonged in case of the wound or the death in action. 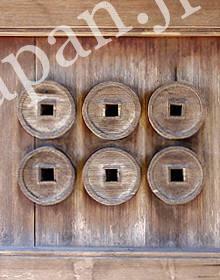 Edo period or later, Sanada Strap have been used as Obijime for women’s kimono and Haori-himo (a strap for haori). The material is not only cotton but silk. Then they produced Saori for earning. 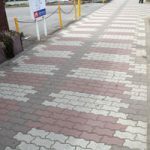 And the quality was so high that they received considerable publicity all over the country. That strap was named “Sanada” strap named after Sanada family. 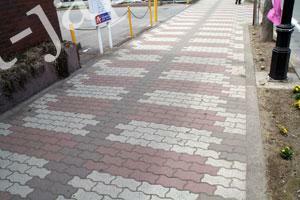 Pavements at Ueda city are designed in the image of Sanada Strap. This is one of the basic episodes in the age of provincial wars. 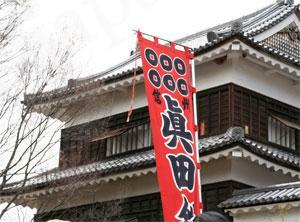 This age is called “Sengoku Jidai” and was so exciting that many many Japanese like and have a strong interest in. We will work up farther contents.